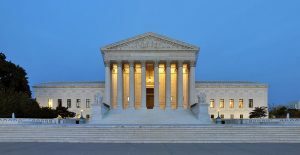 More than four decades after the Supreme Court ruled that public sector workers could be required to pay dues to unions even if they do not join one, a 5–4 majority on the high court overturned that precedent in a closely watched case that could have major ramifications for the future of public sector unions. In the short-term, the ruling in Janus v. American Federation of State, County and Municipal Employees means that plaintiff Mark Janus was successful in his decade-long fight to prevent the union from taking $50 out of his paycheck every two weeks. Over the years, Janus estimates, he’s contributed more than $6,000 to the union. More broadly, Wednesday’s ruling could end the automatic deduction of union dues from millions of public employees’ paychecks, forcing unions like AFSCME to convince workers to voluntarily contribute dues—something workers would do, presumably, only if they have a reason to do so. Great News ! No organizational should be allowed to force you to pay to support it. The mafia Union has been a rip off for years. but to the Democratic Party,that’s why they were able to pass out money to try and get Hillary elected,the jokes on them. For over two hundred years of our existence most politicians thought that public unions should be illegal. I still do, though I am not a politician. Having a public union sets up an odd situation-the citizen hires a worker to do a specific job and the same citizen hires a politician to represent him. The worker donates to the campaign of the representative and the representative negotiates a wage for the worker. Just who represents the citizen in this negotiation. The greater the wage for the worker is, the more the worker donates to the representative. The citizen gets to pay, but has no say! Hitting the democrats where it hurts; in the wallet.